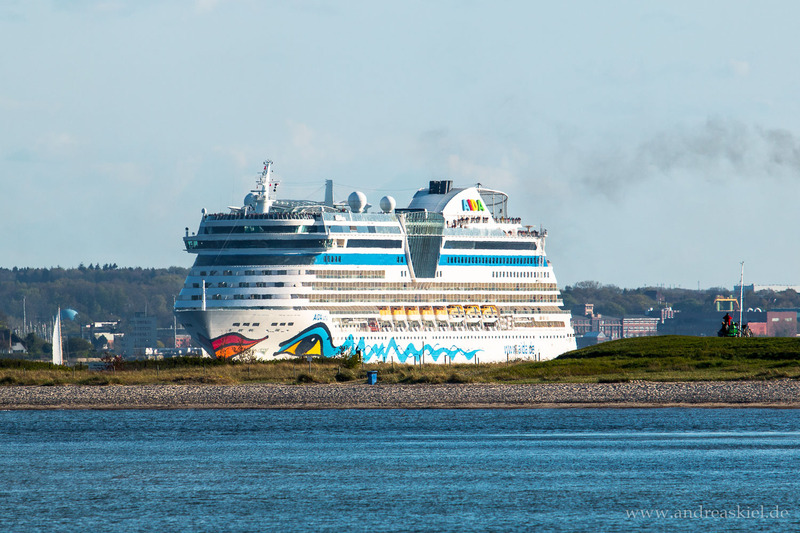 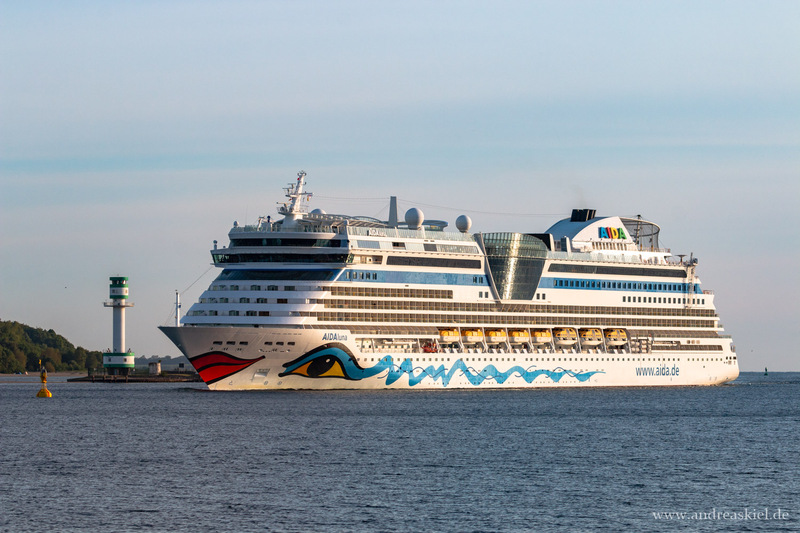 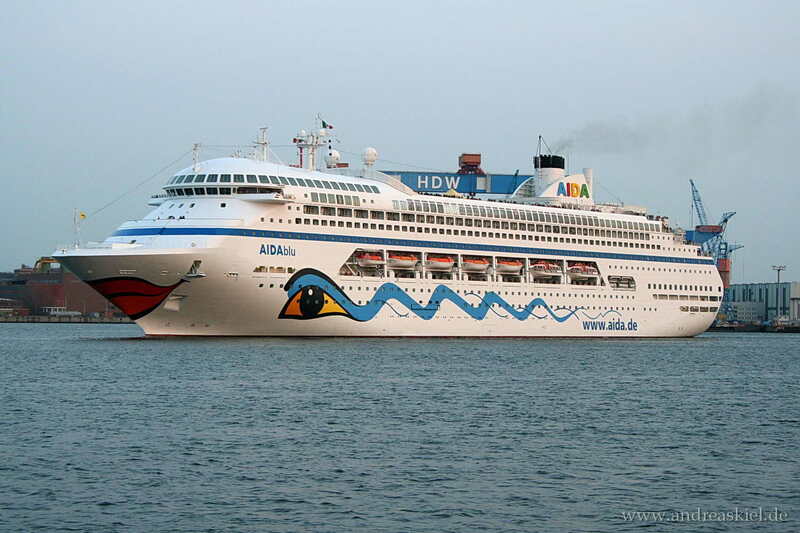 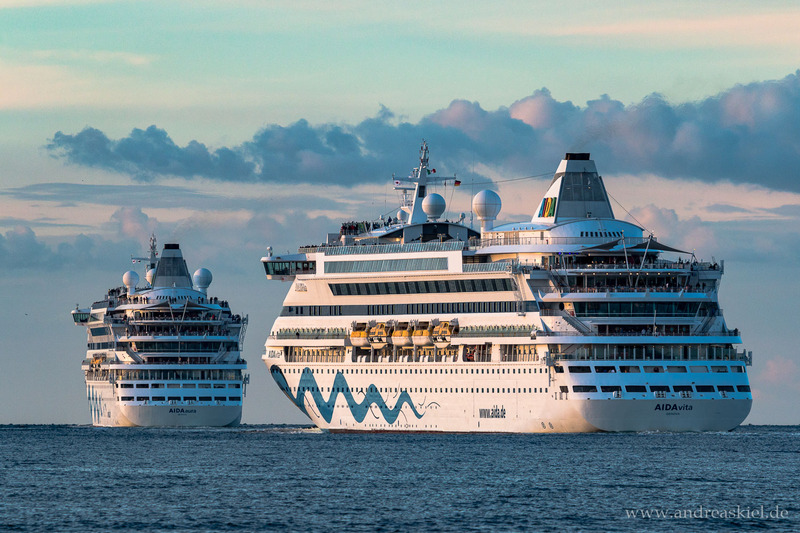 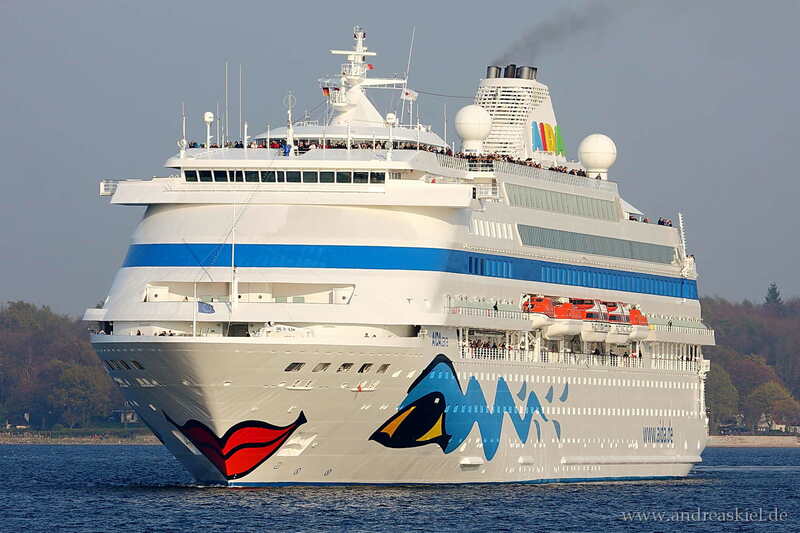 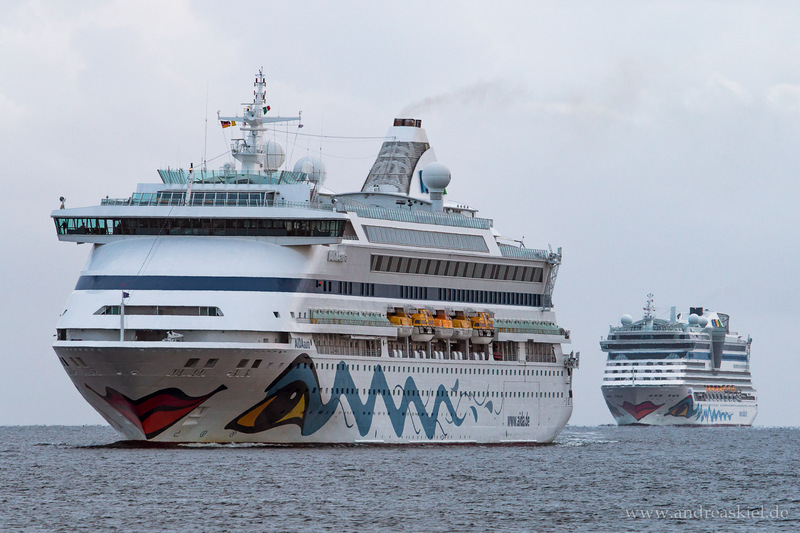 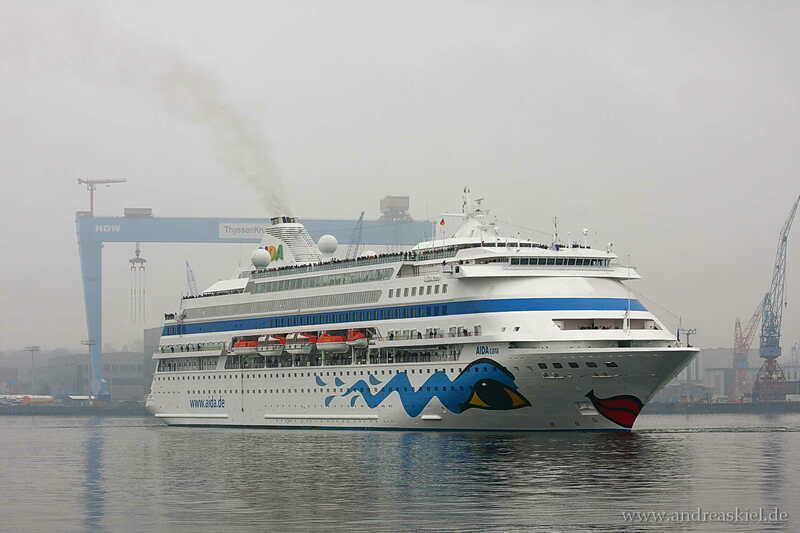 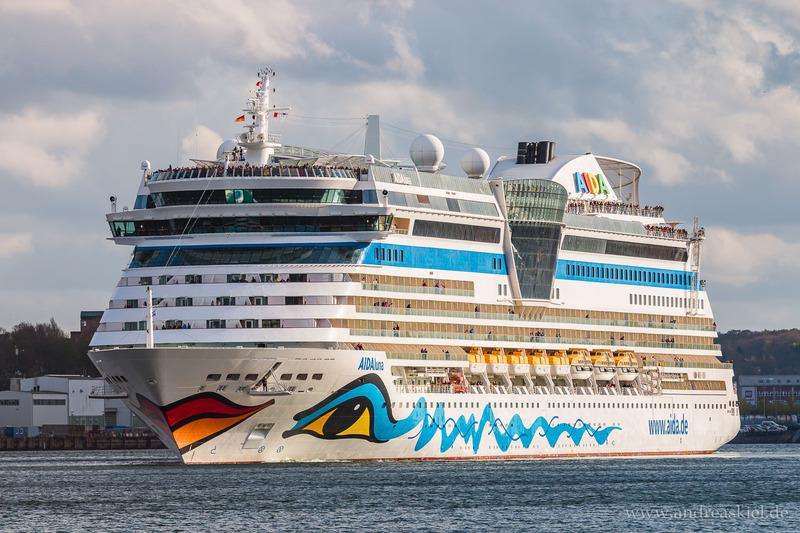 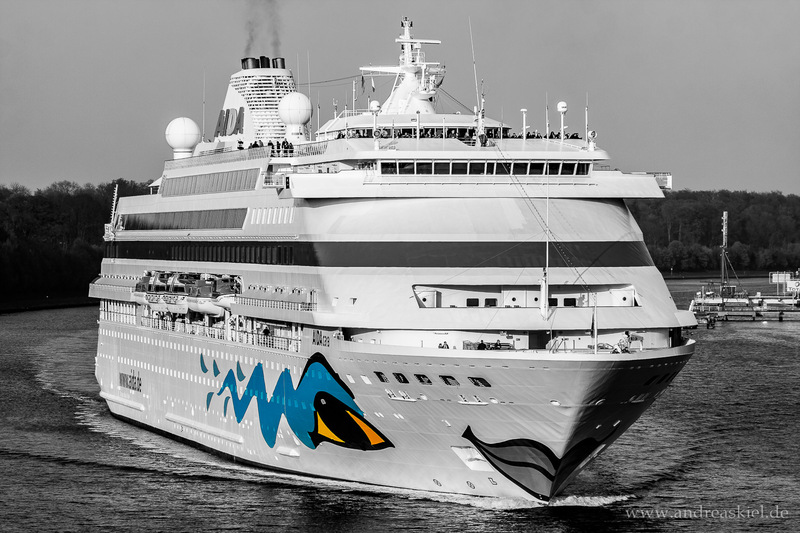 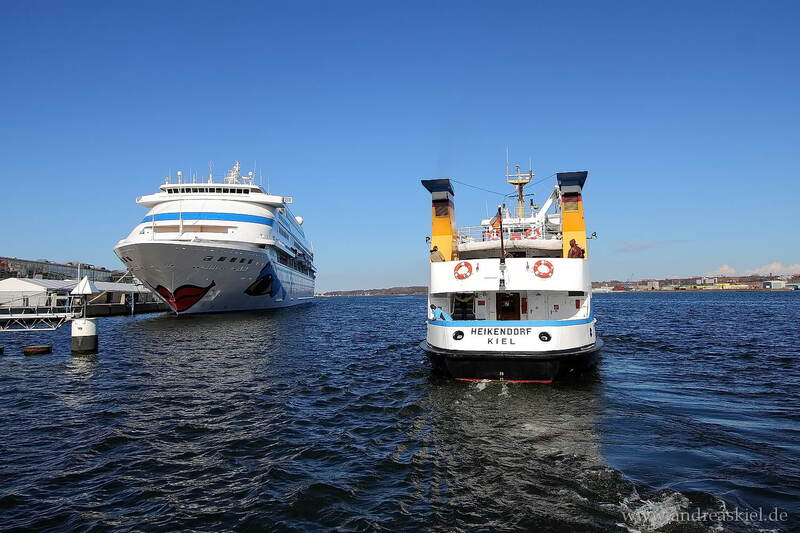 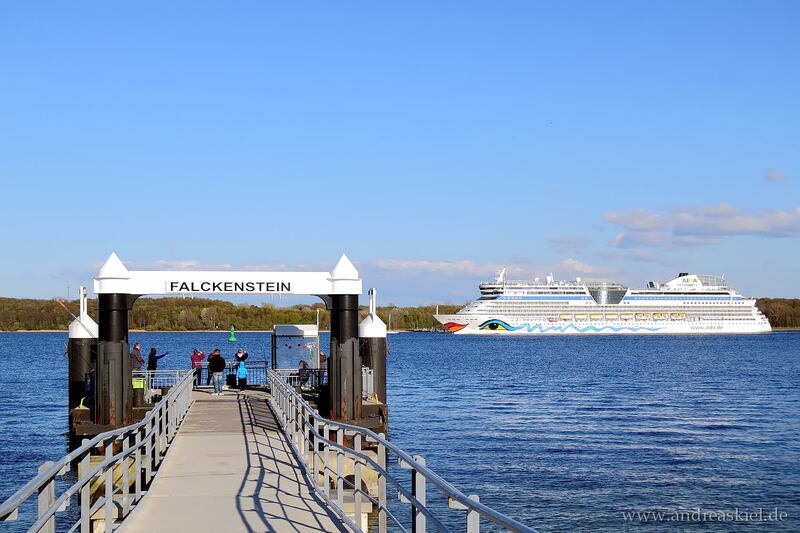 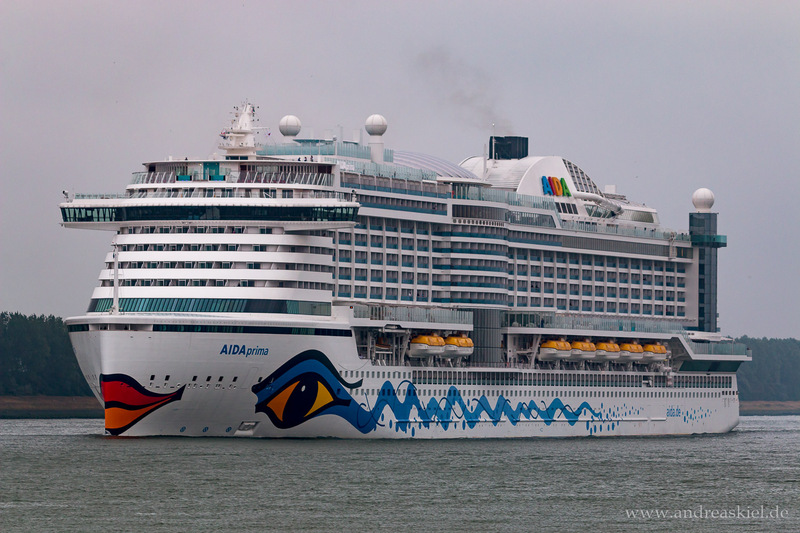 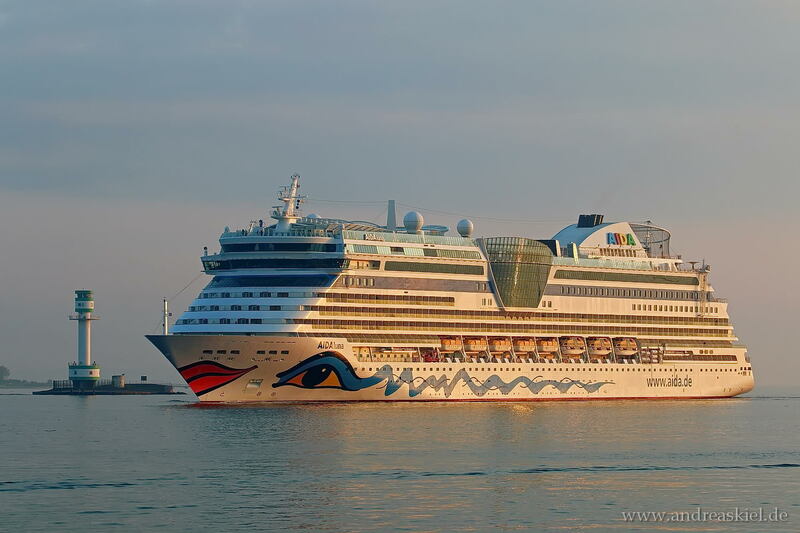 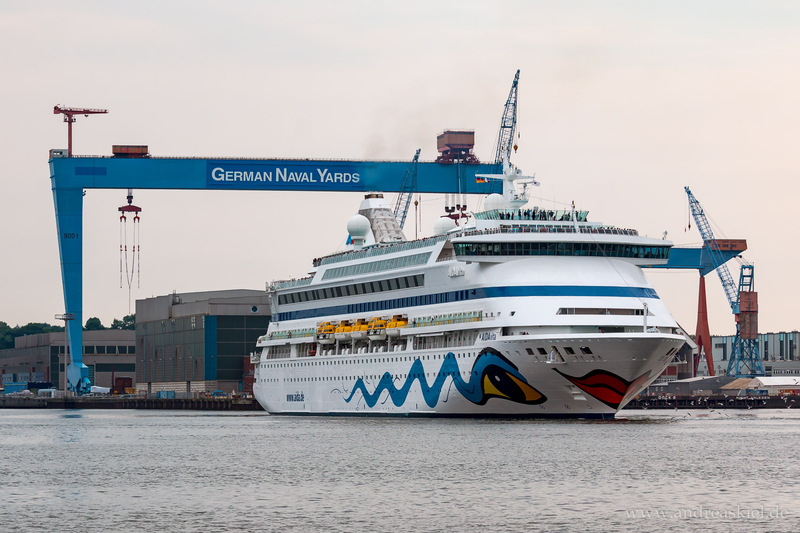 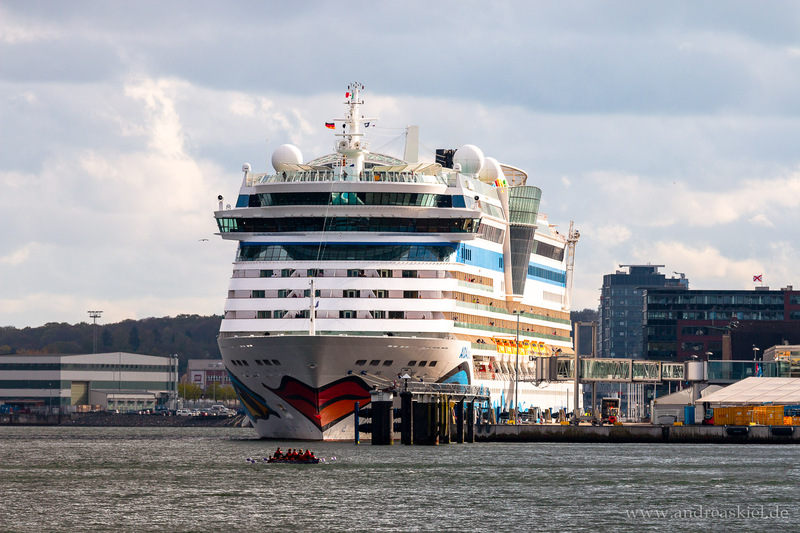 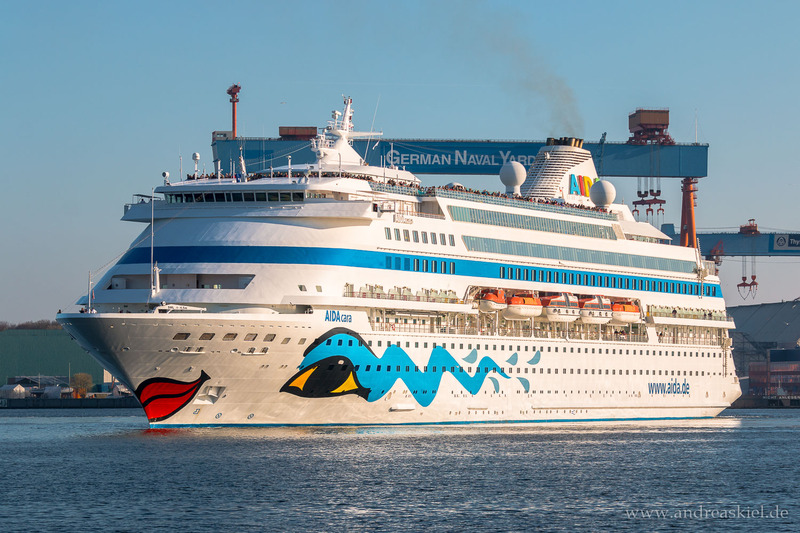 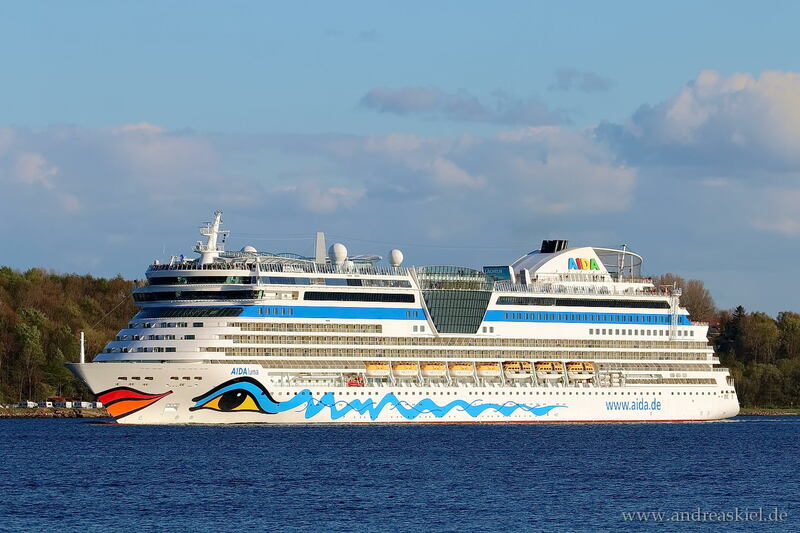 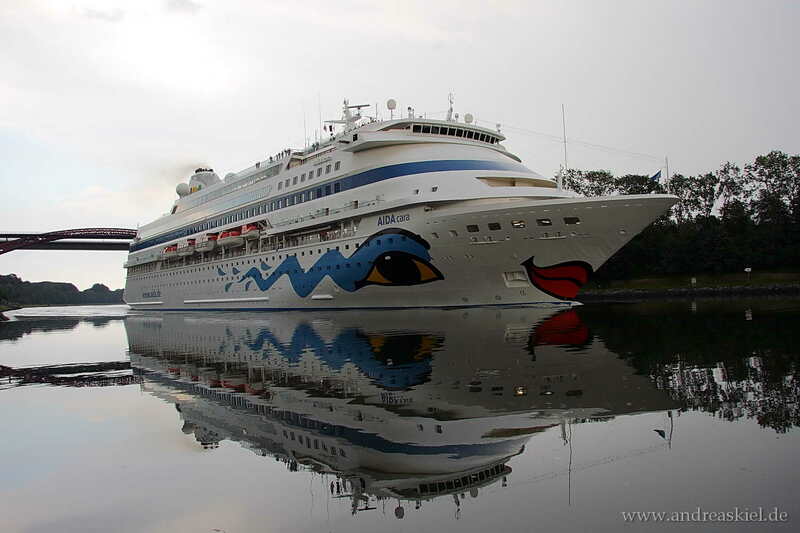 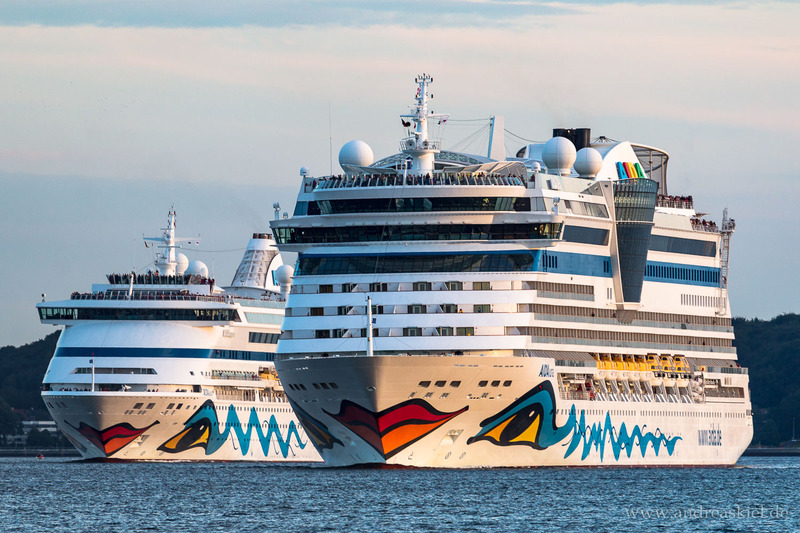 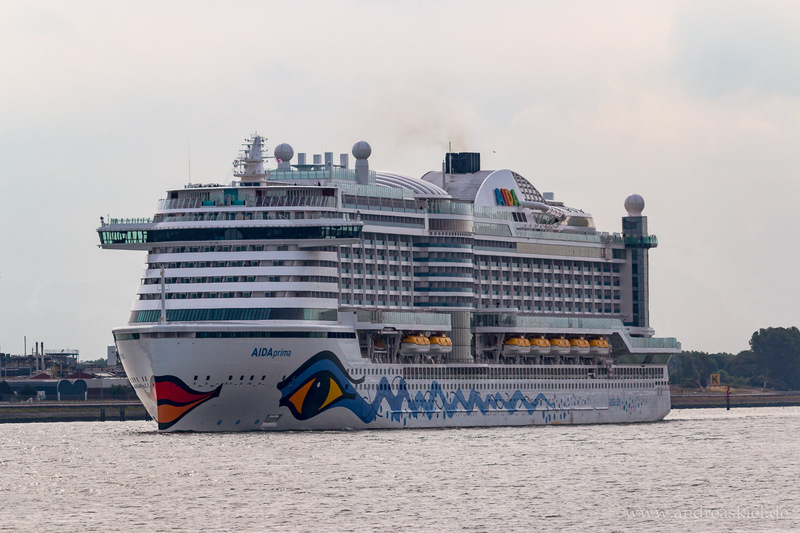 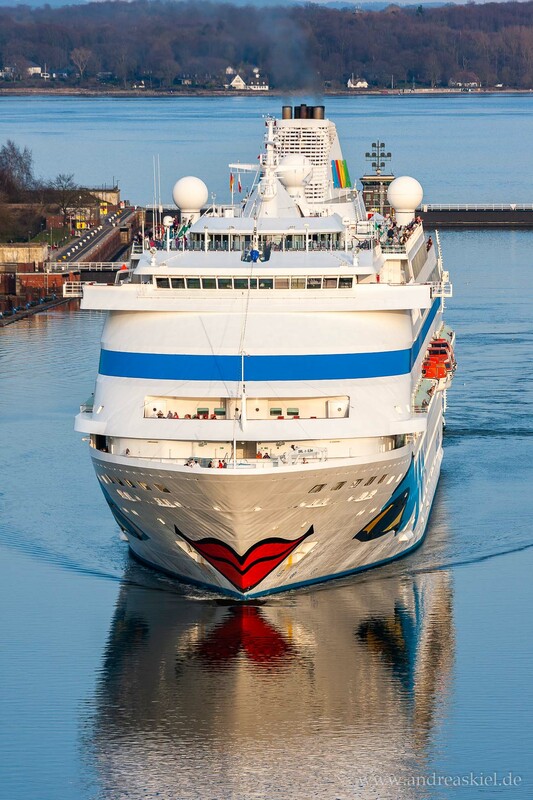 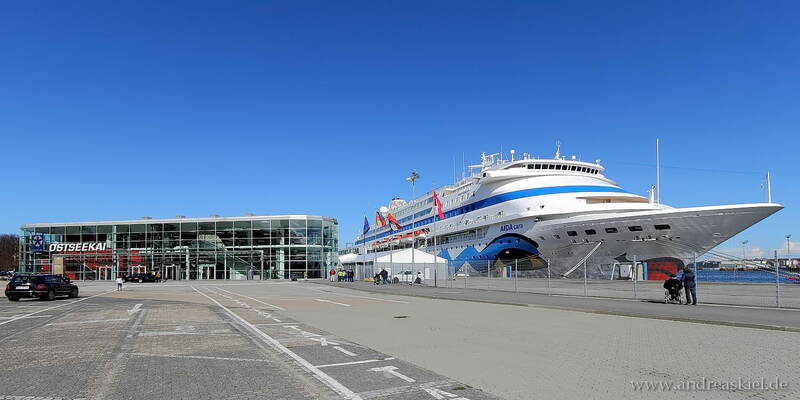 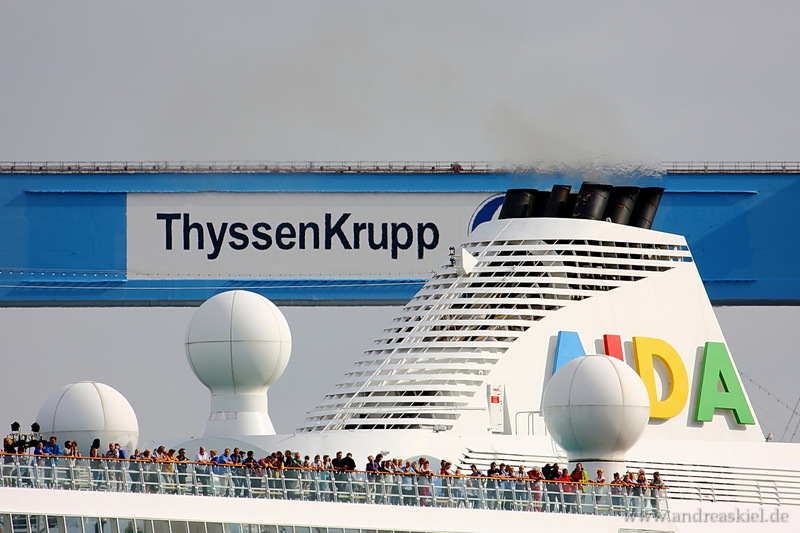 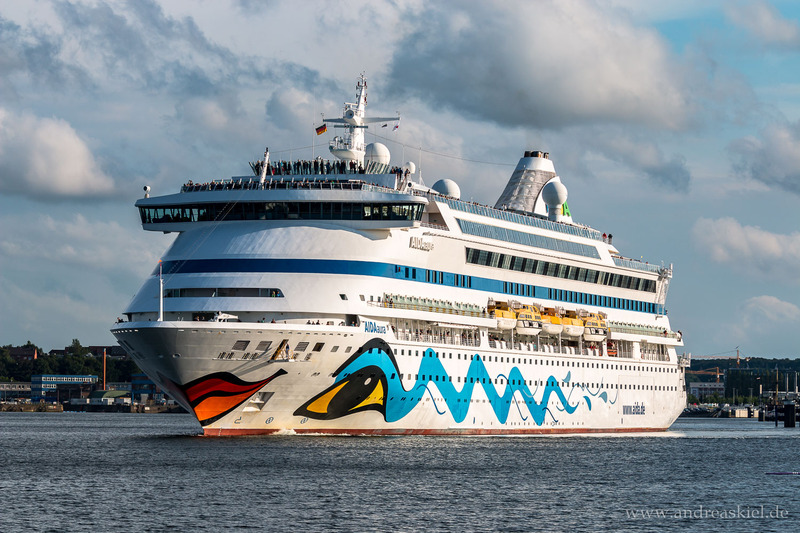 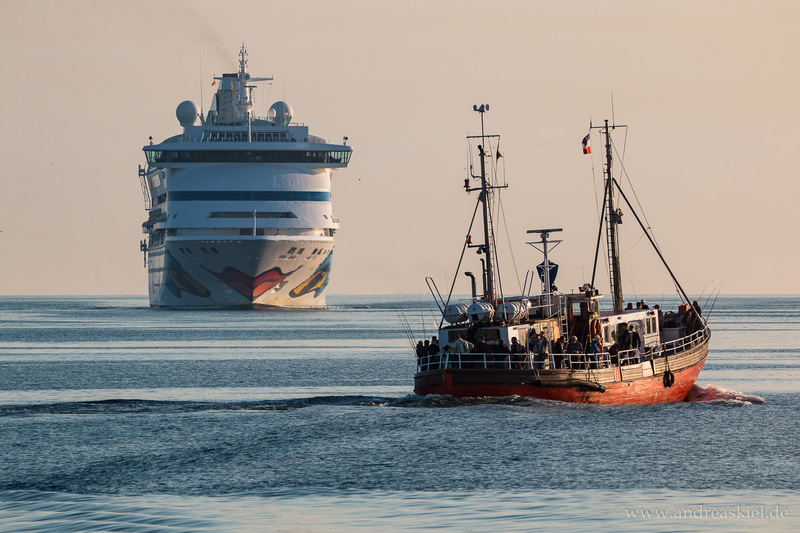 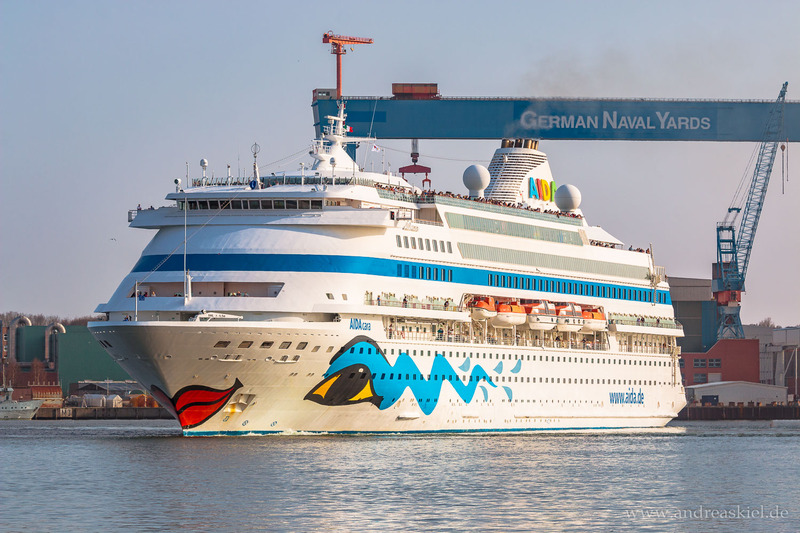 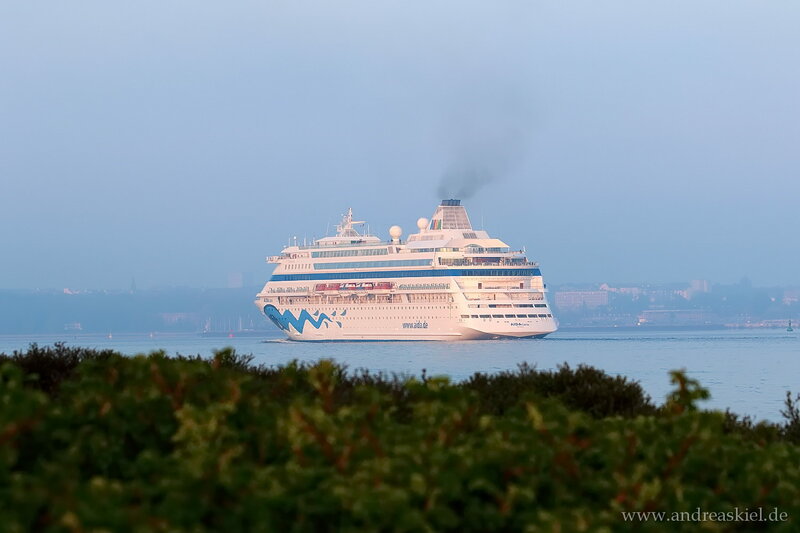 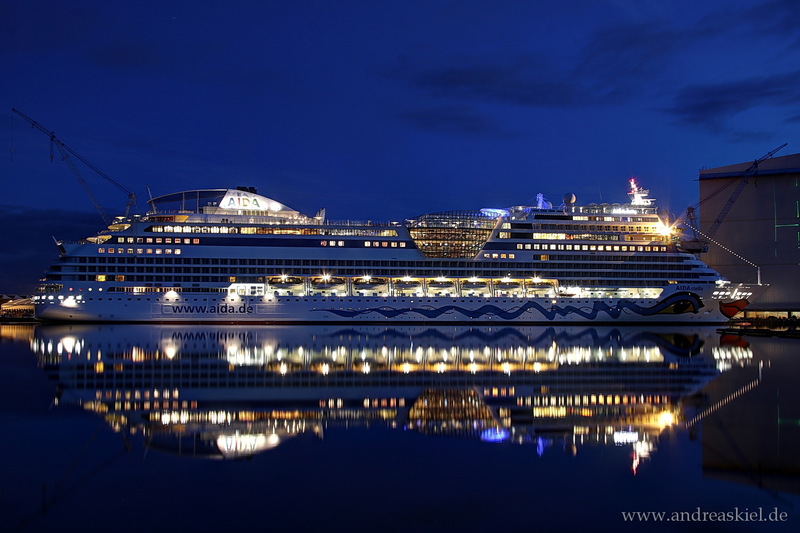 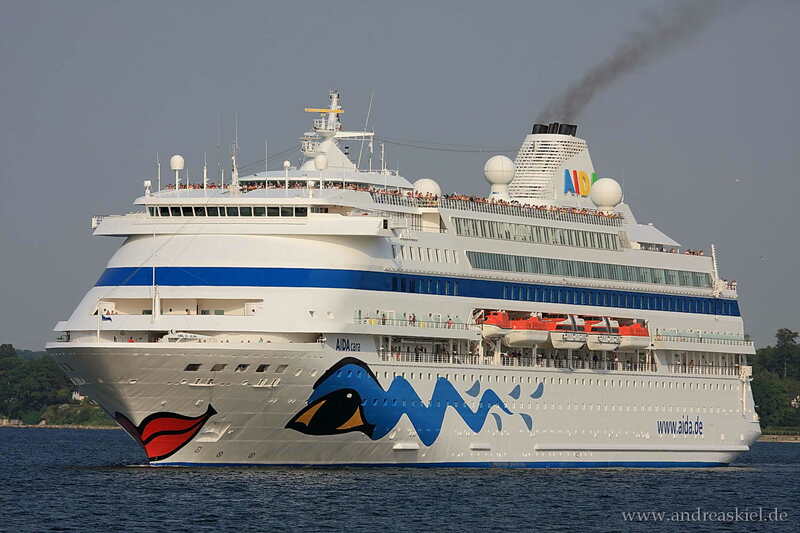 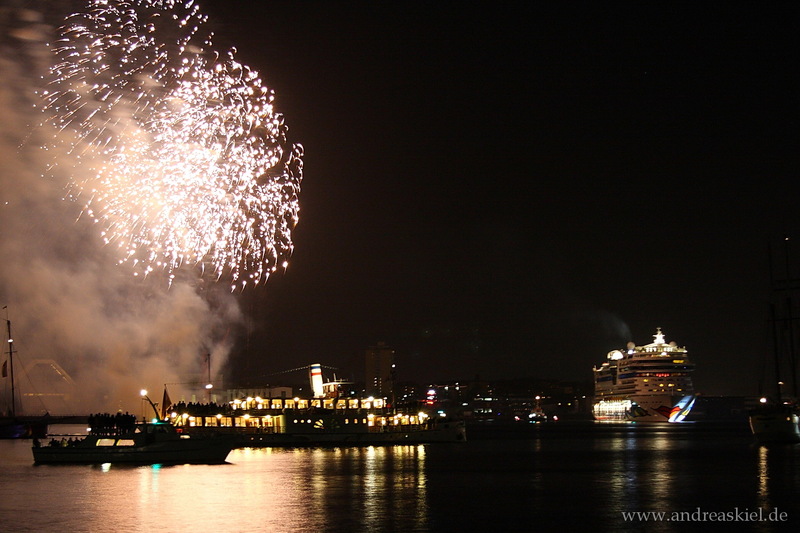 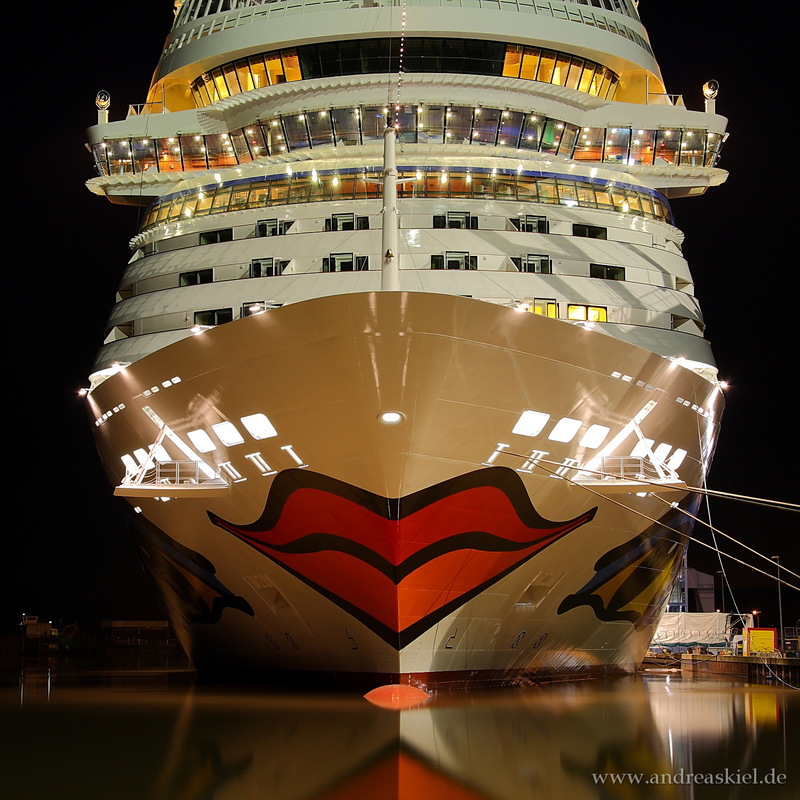 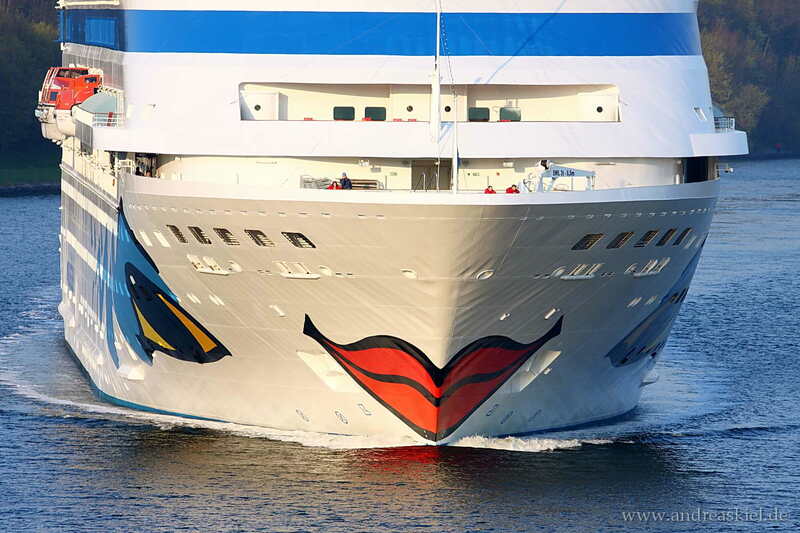 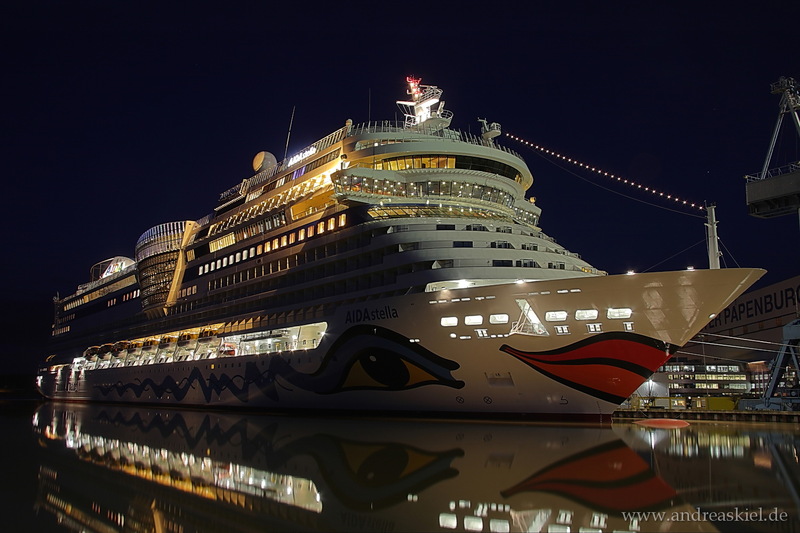 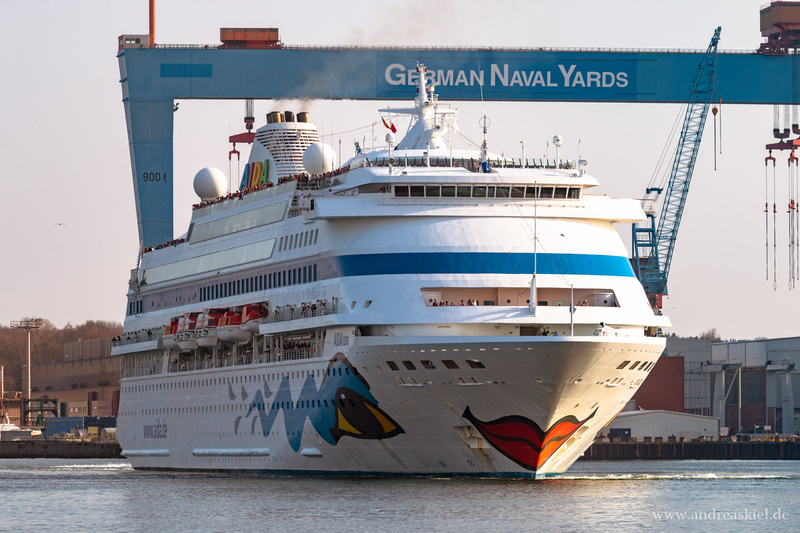 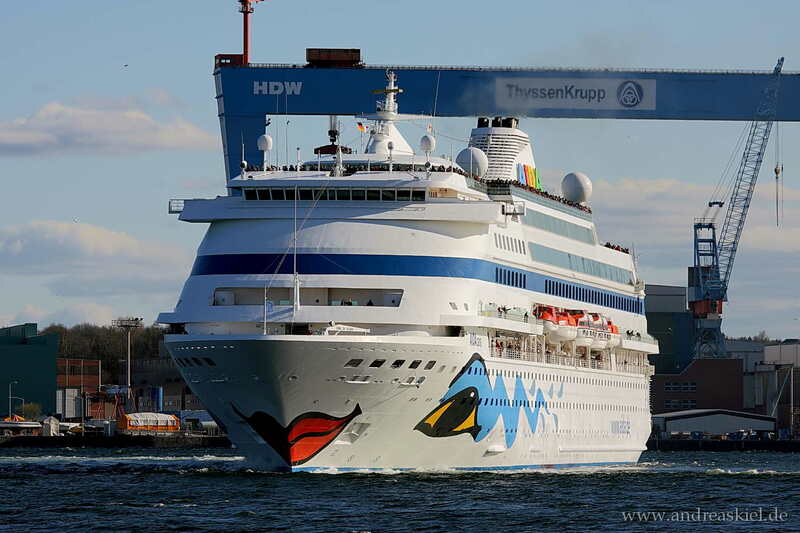 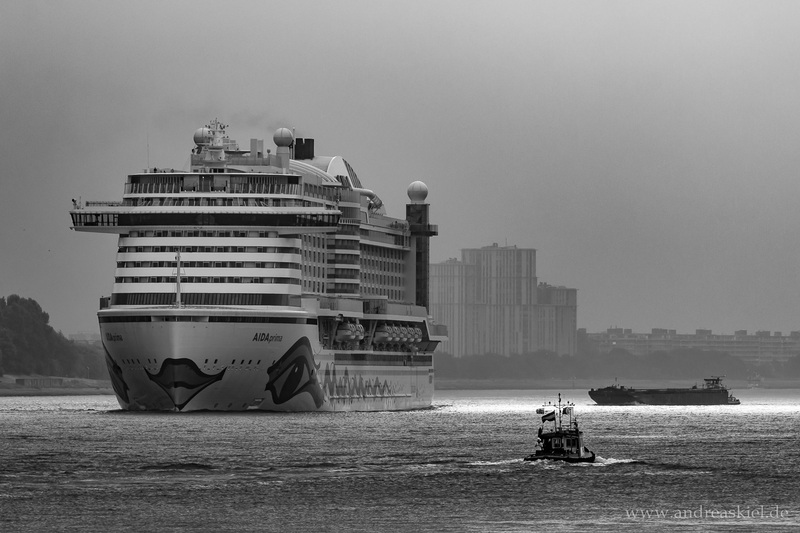 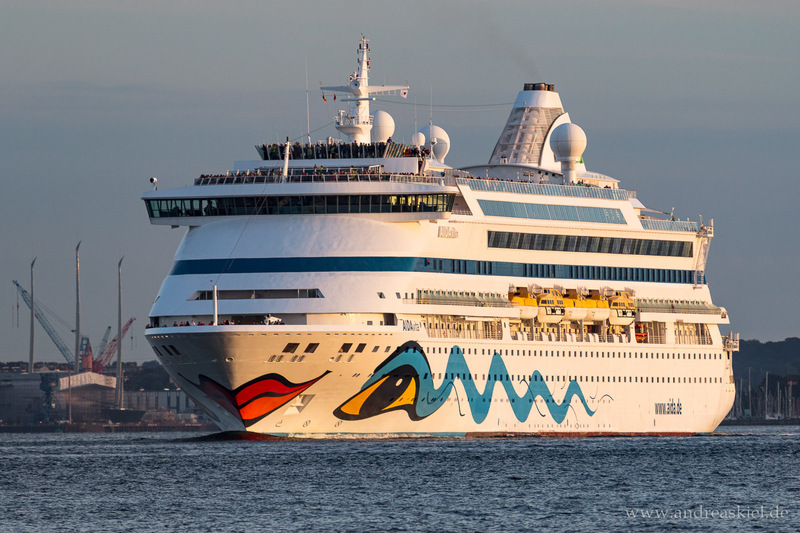 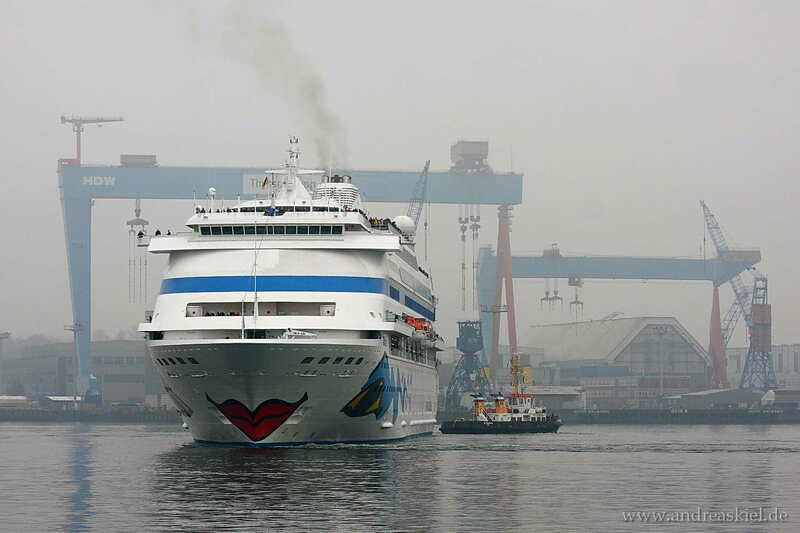 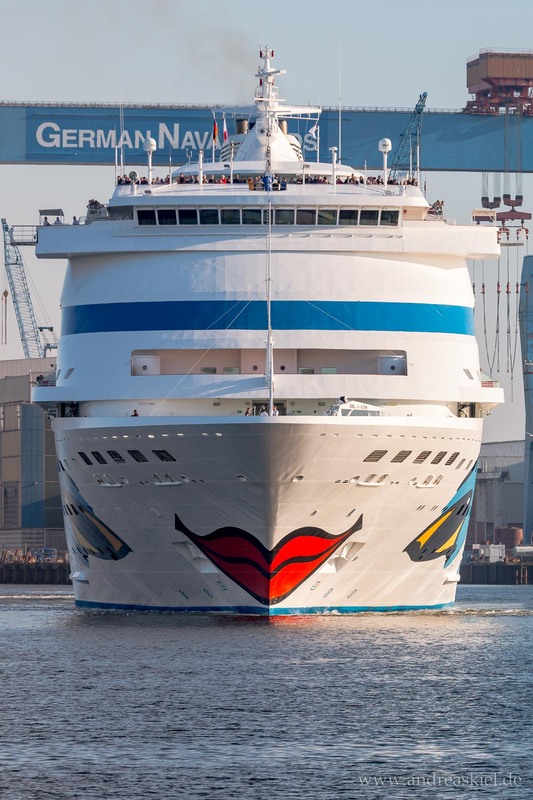 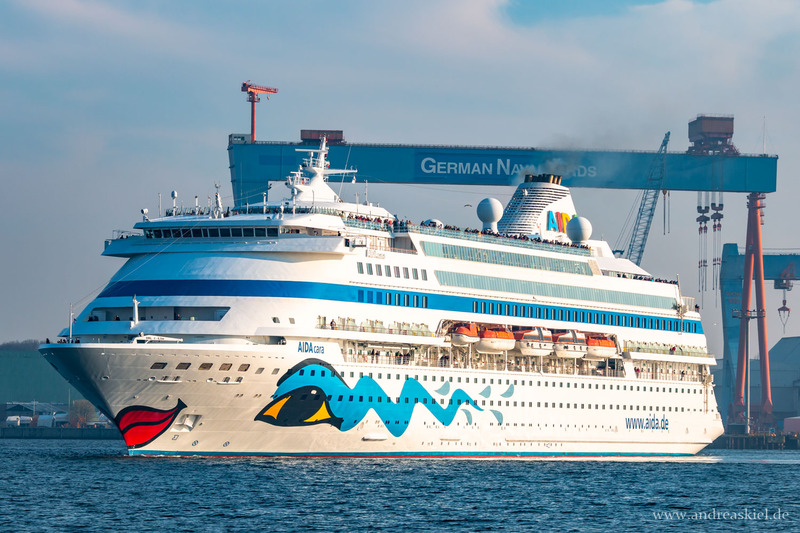 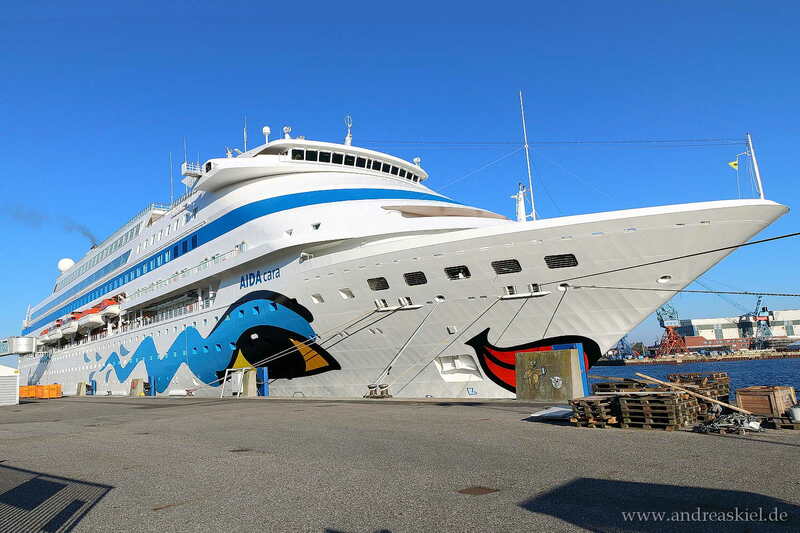 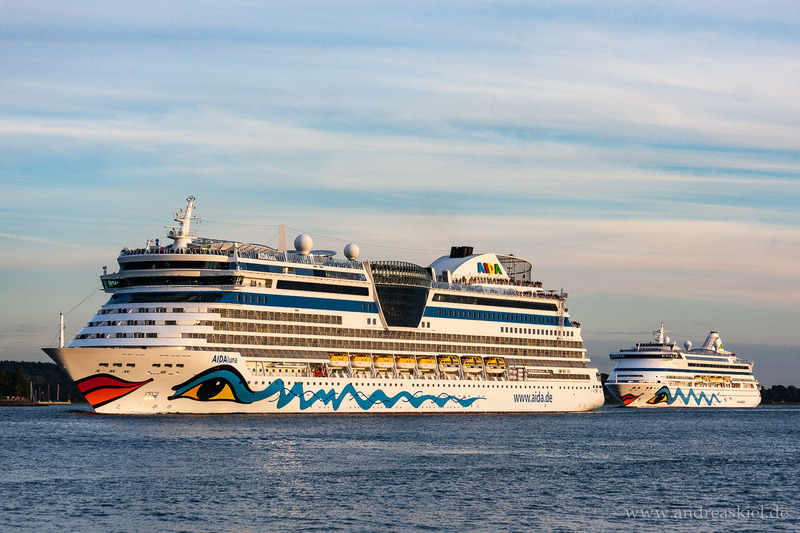 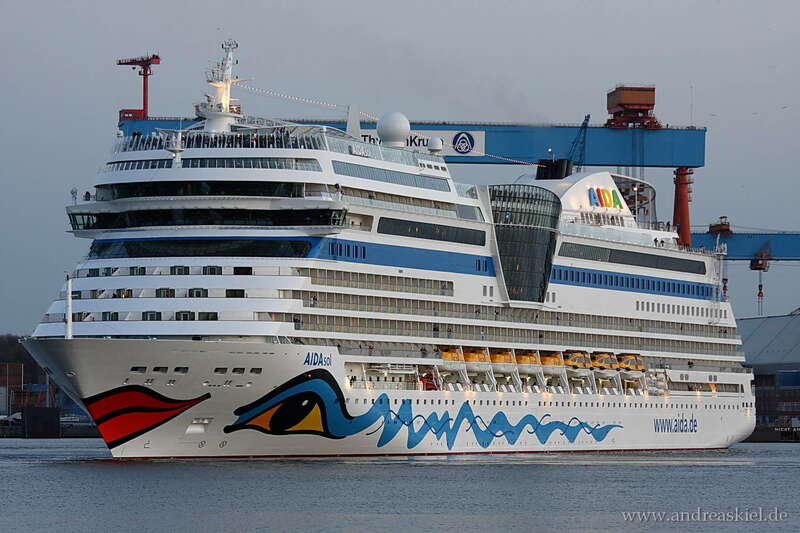 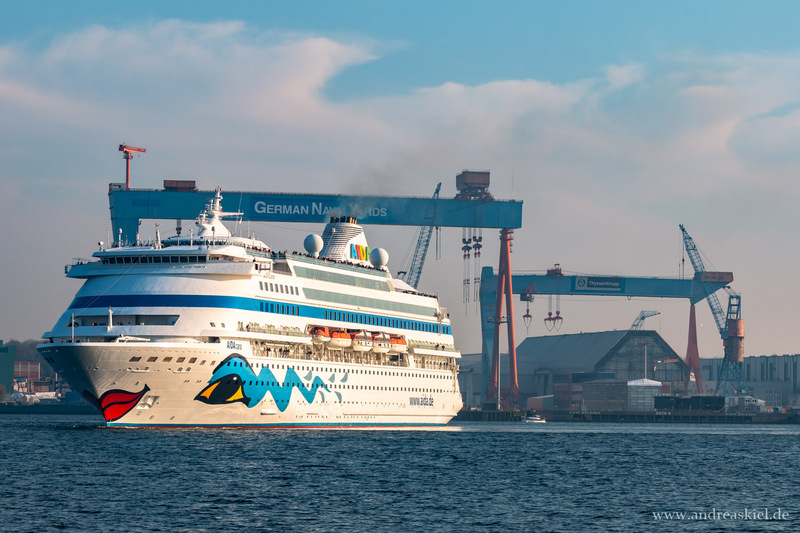 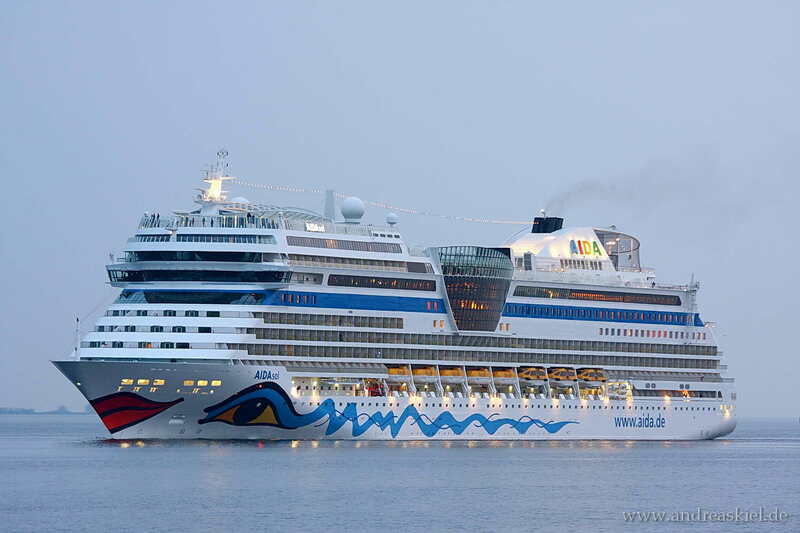 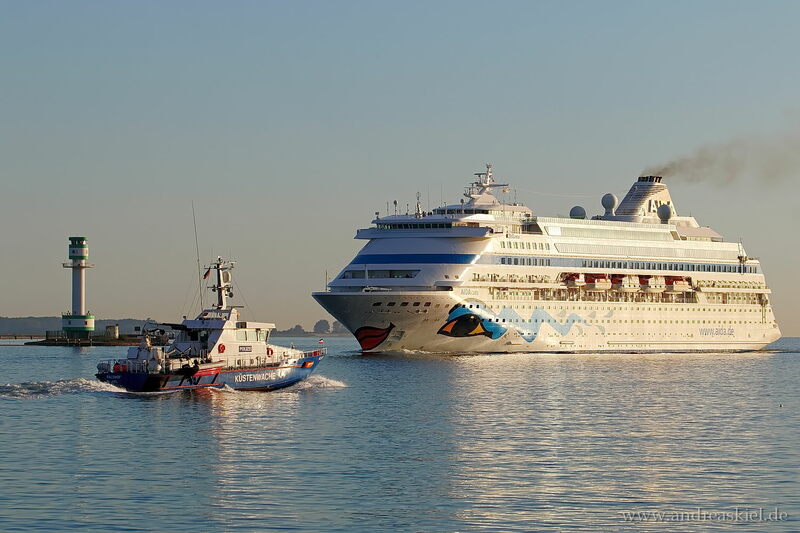 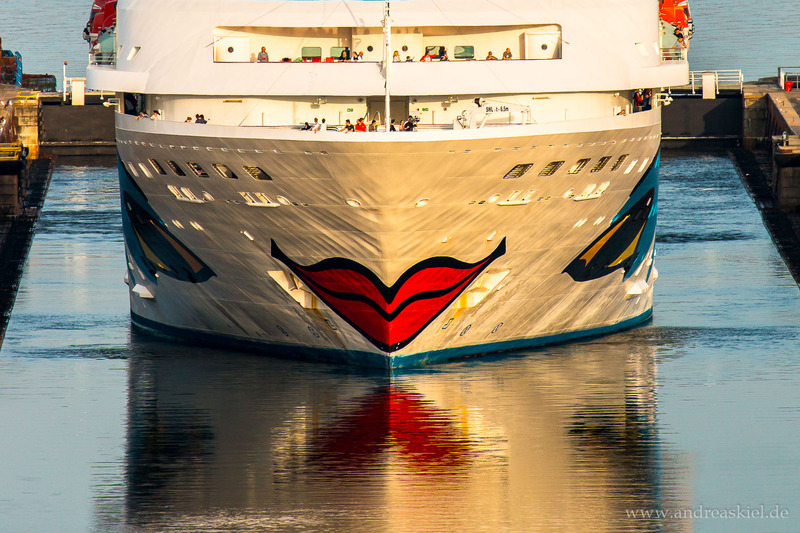 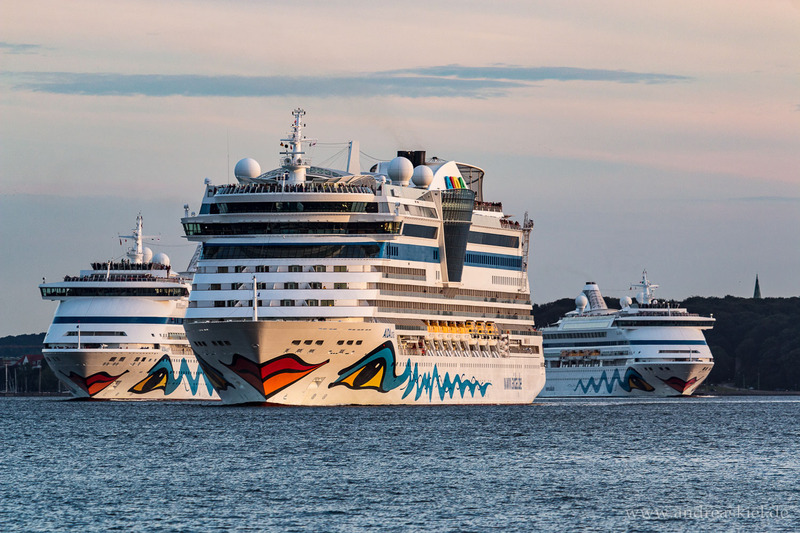 Have a look at my shipspotting photos of AIDA cruise ships mostly taken Port of Kiel or at Kiel-Canal. 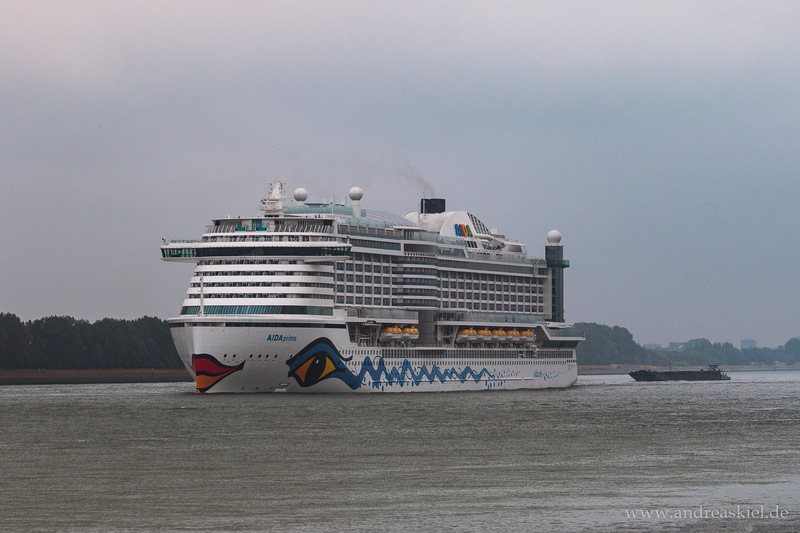 AIDAcara leaving locks of Kiel-Holtenau (08.04.2018). 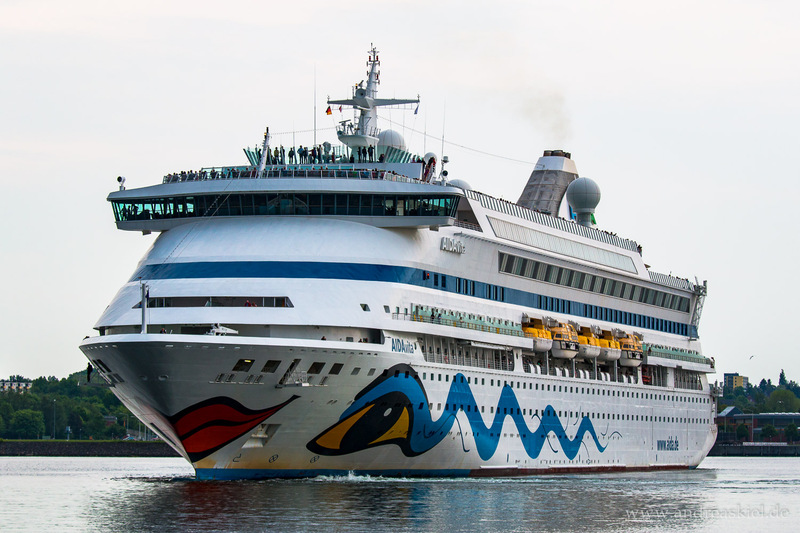 AIDAcara leaving Port of Kiel (09.04.2017). 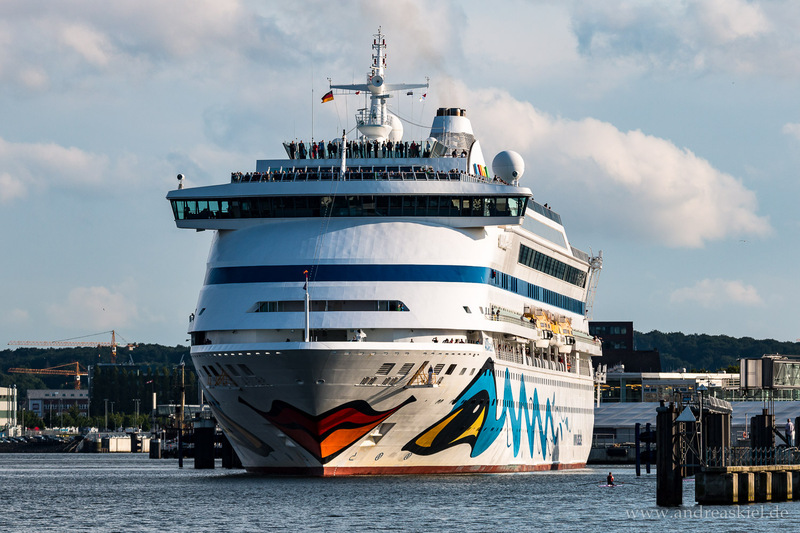 AIDAaura leaving Port of Kiel (29.06.2016). 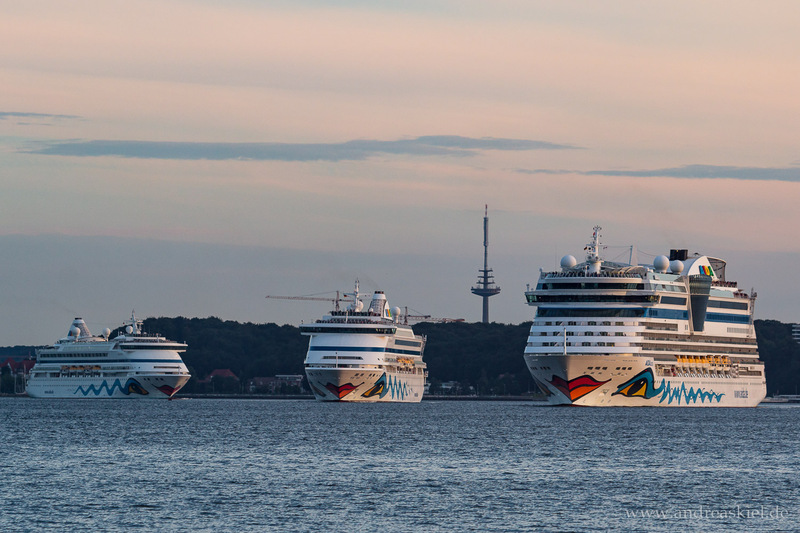 Captured outbound Port of Kiel 30.07.2016. 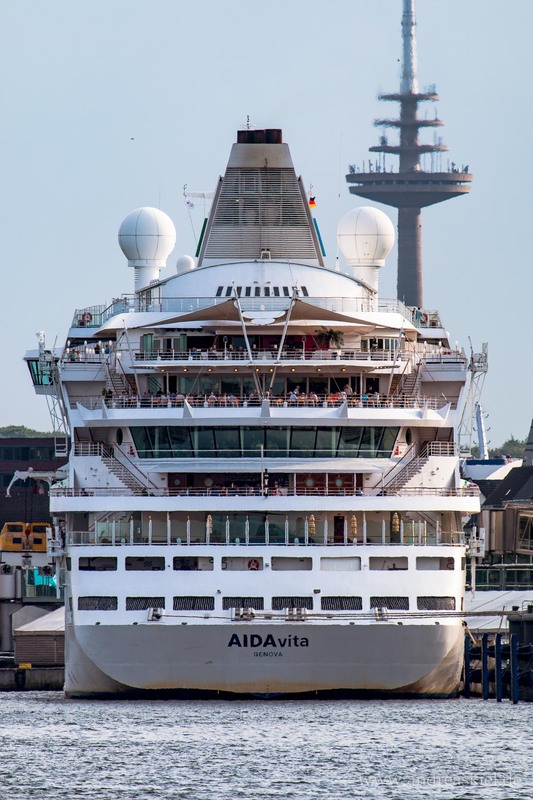 ... television tower ... What the heck does the ship within this pic ? 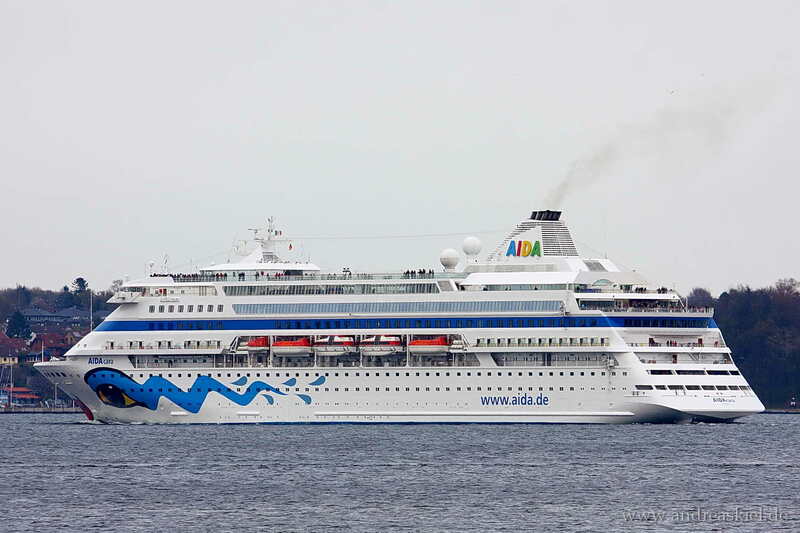 AIDAvita outbound Port of Kiel (21.05.2016). 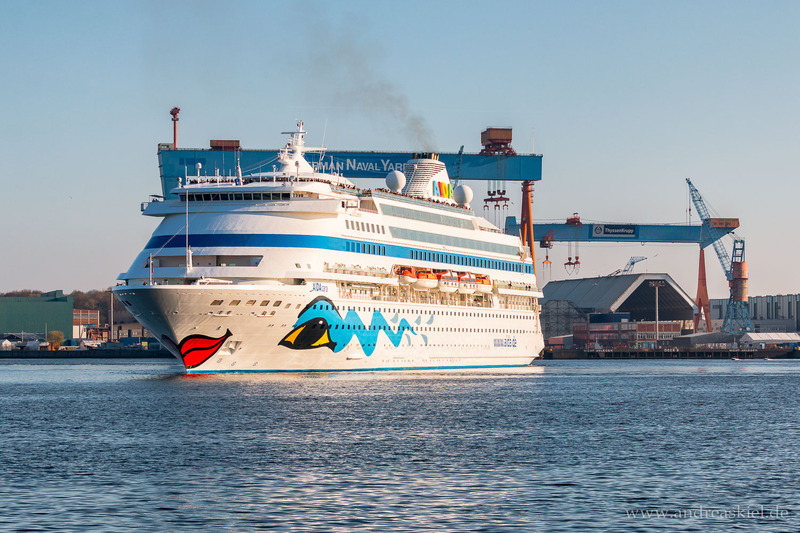 AIDAluna outbound Port of Kiel 02.05.2015. 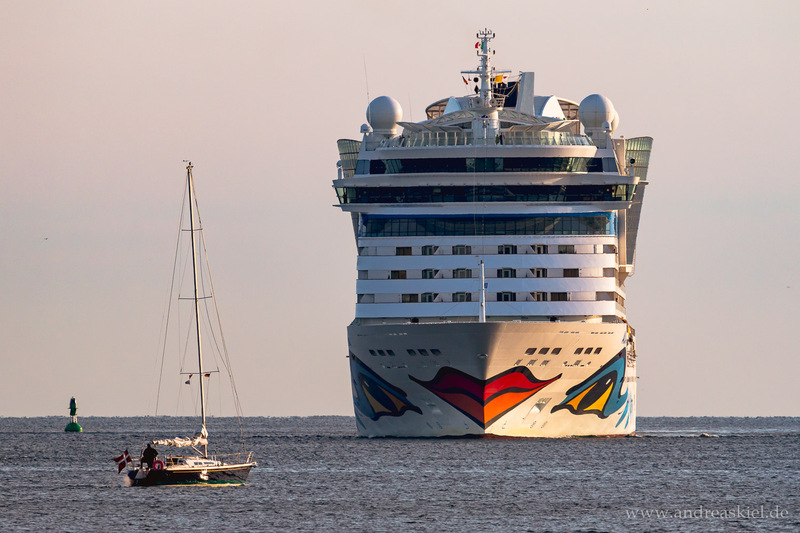 AIDAcara inbound Port of Kiel (11.07.2015). 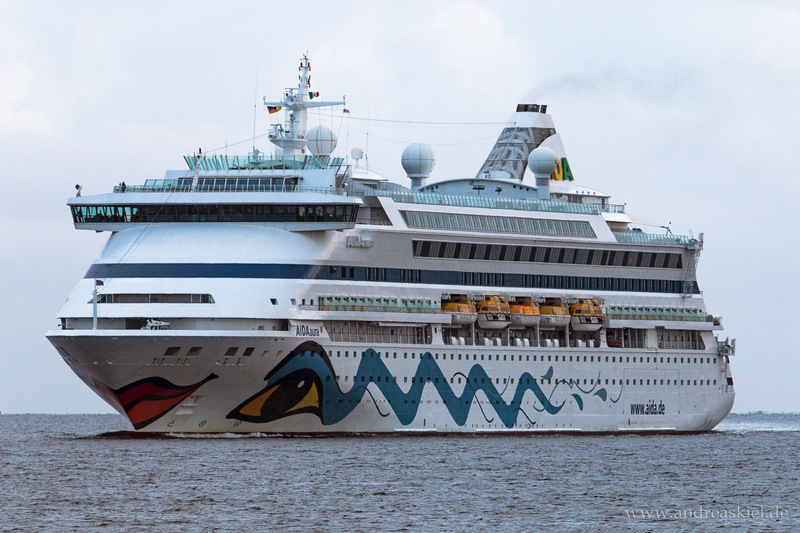 AIDAcara outbound Port of Kiel 02.05.2015. 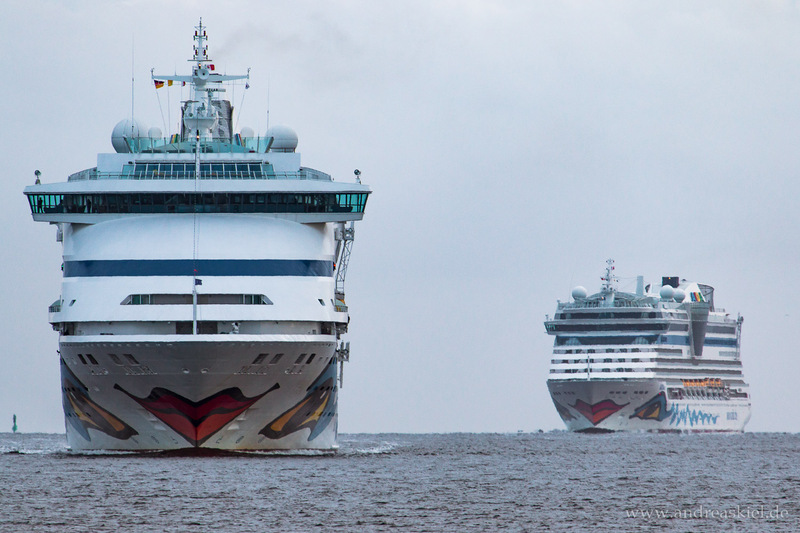 Inbound Port of Kiel 02.05.2015. 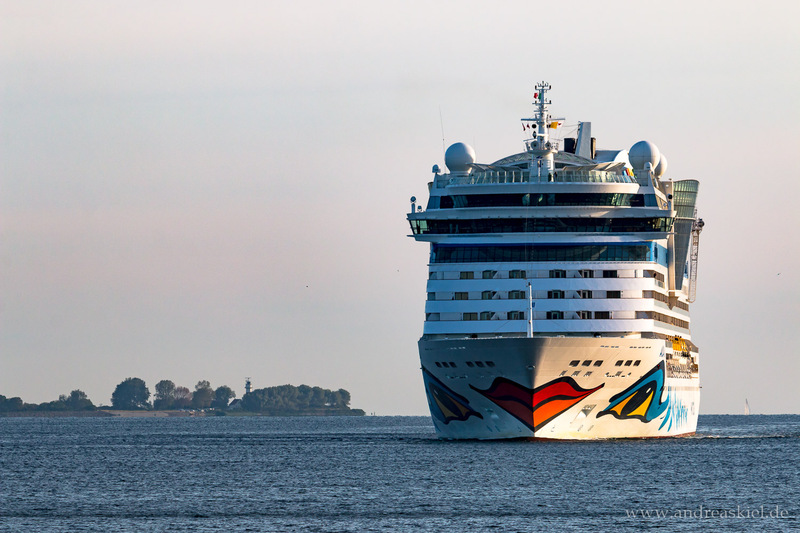 AIDAluna inbound Port of Kiel 02.05.2015. 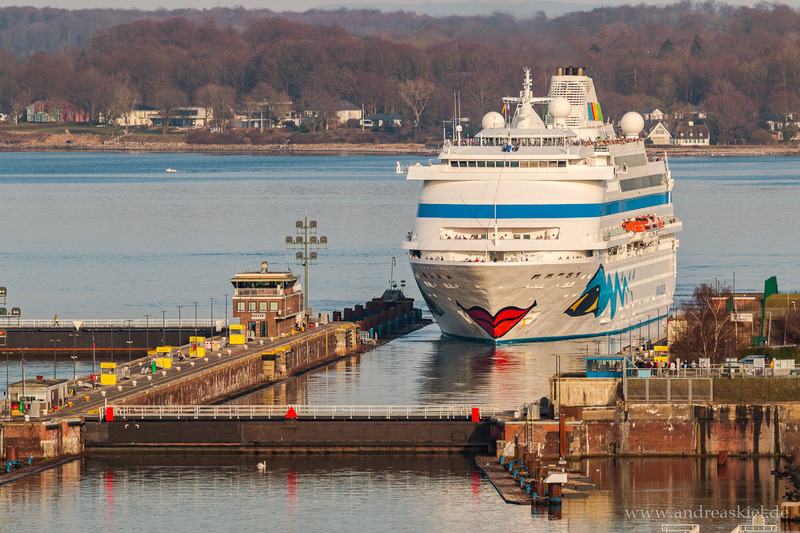 Captured Port of Kiel (04.04.3015). 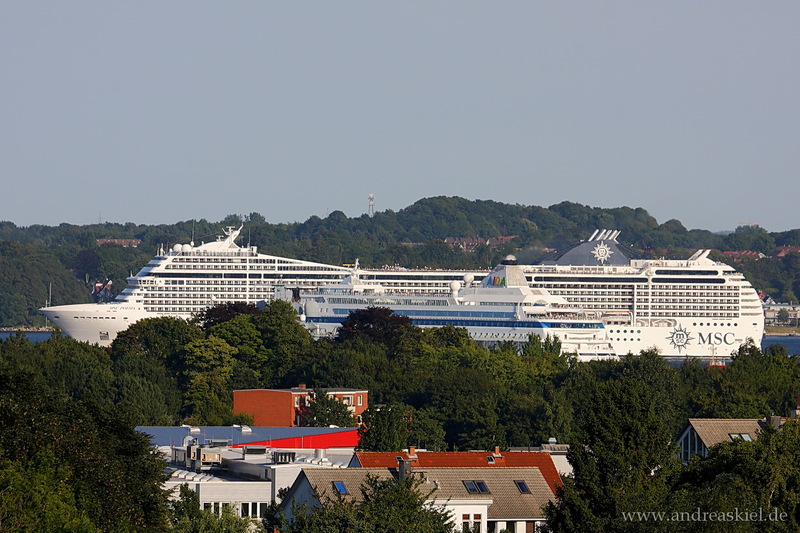 Captured inbound Port of Kiel 17.06.2011. 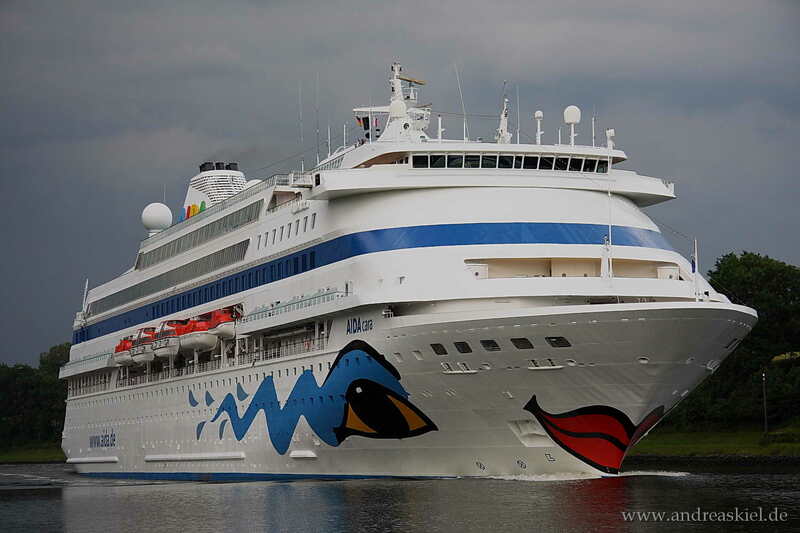 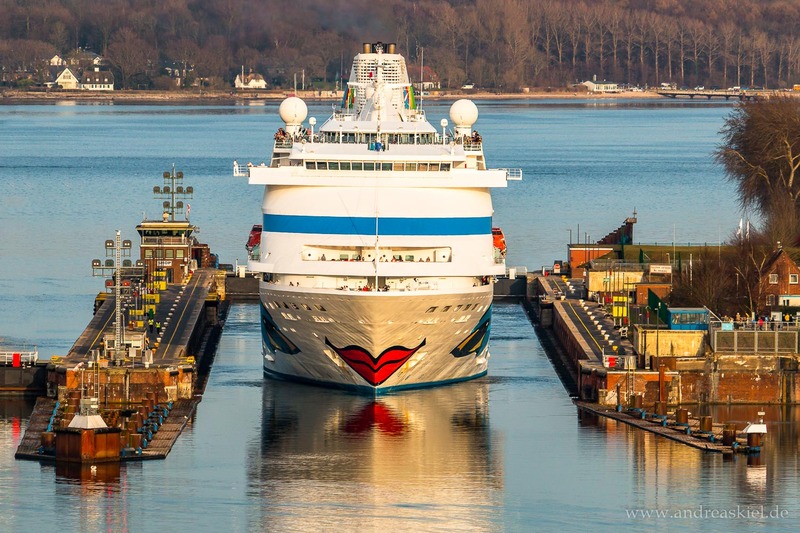 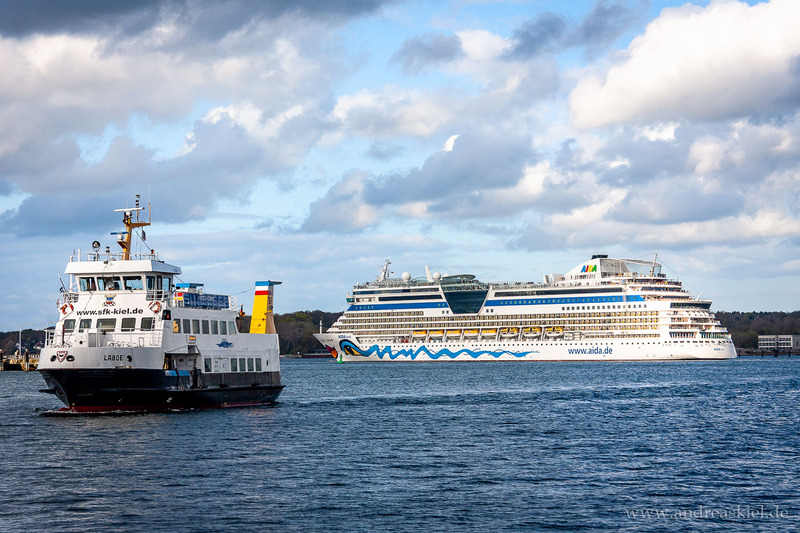 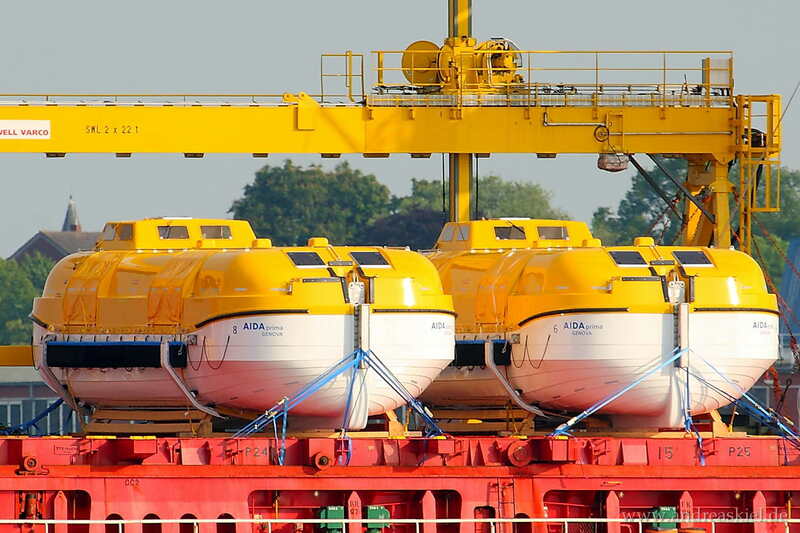 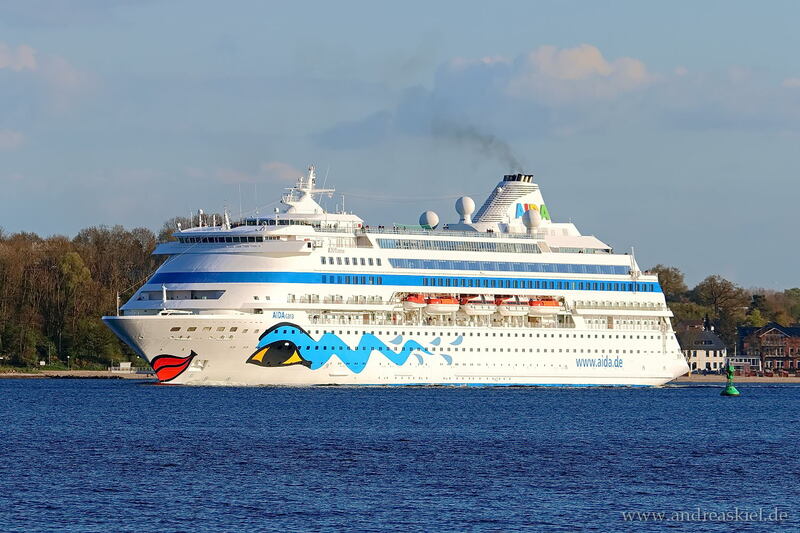 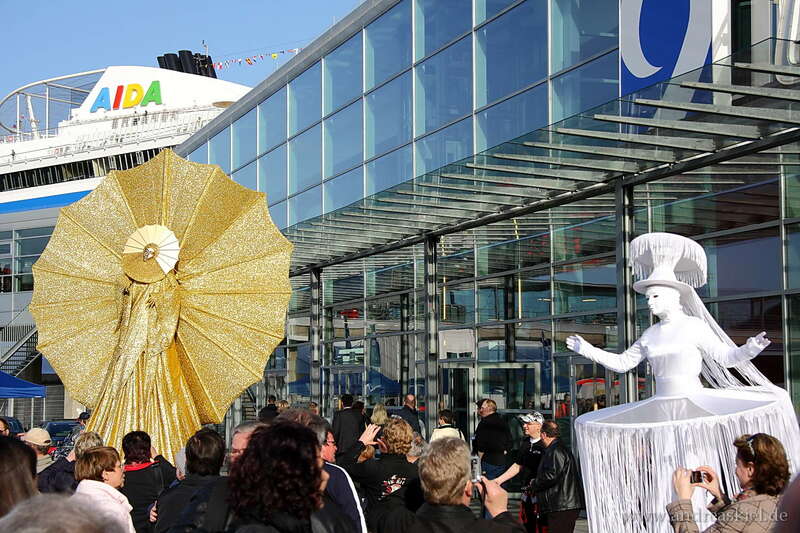 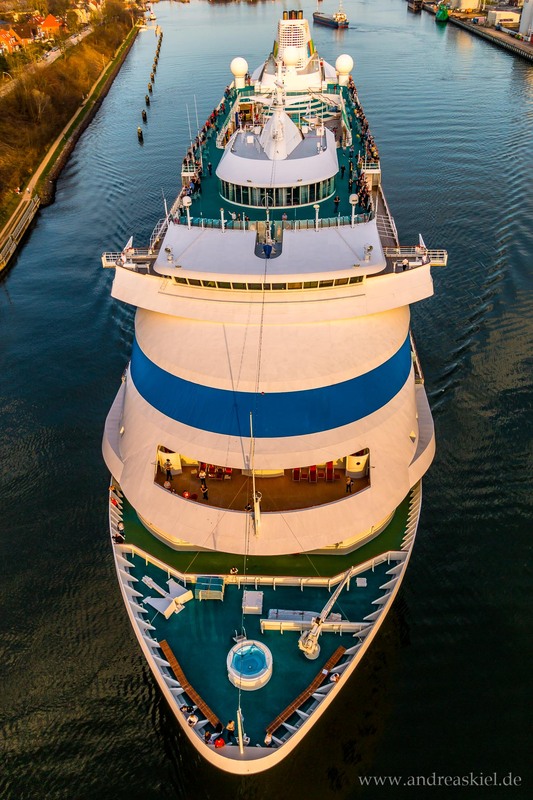 AIDAcara navigate to locks of Kiel-Holtenau (19.04.2014). 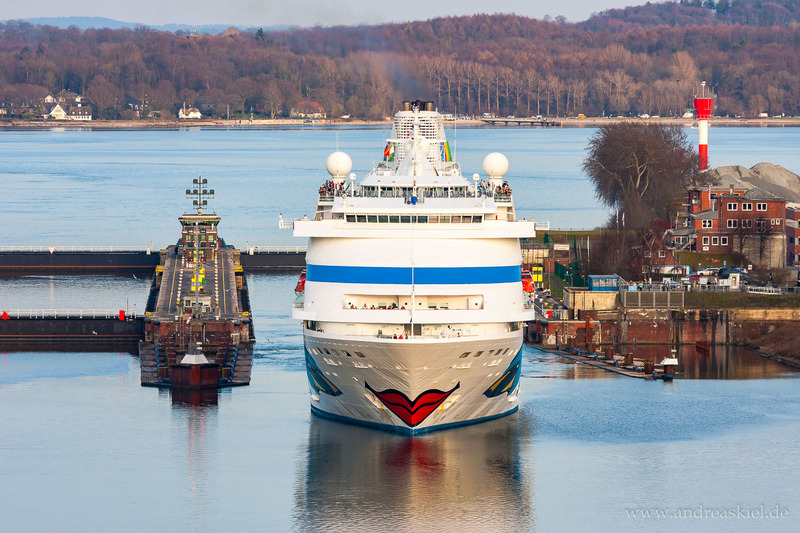 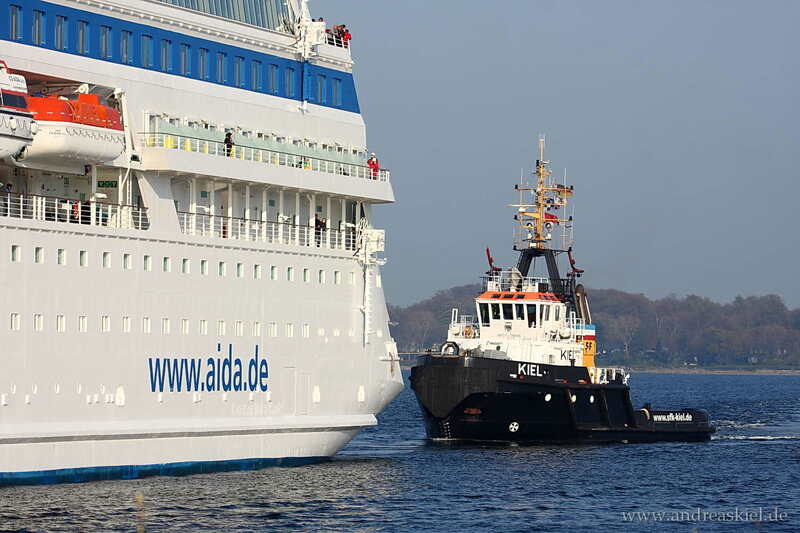 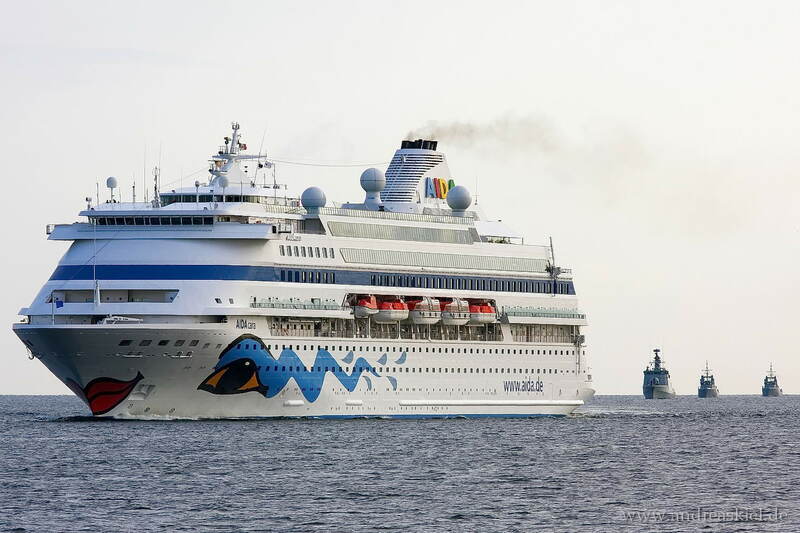 AIDAcara cancelling way trough Kiel-Canal and headed directly to open sea (12.04.2014). 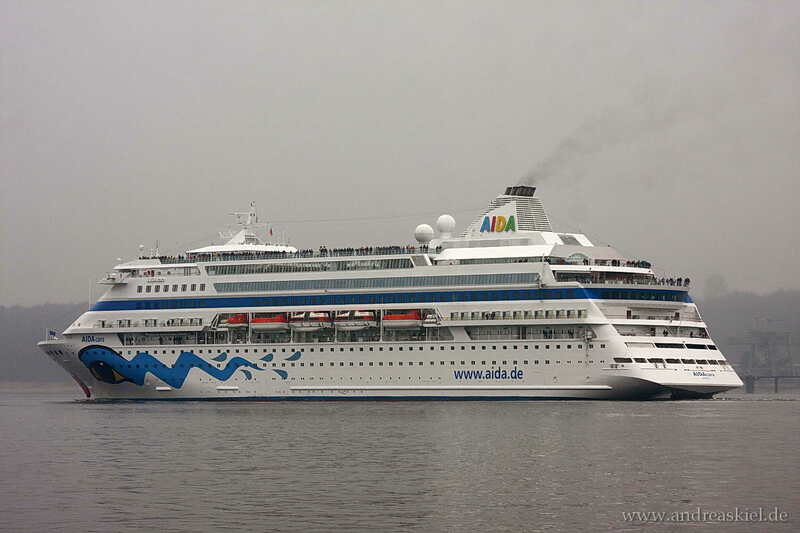 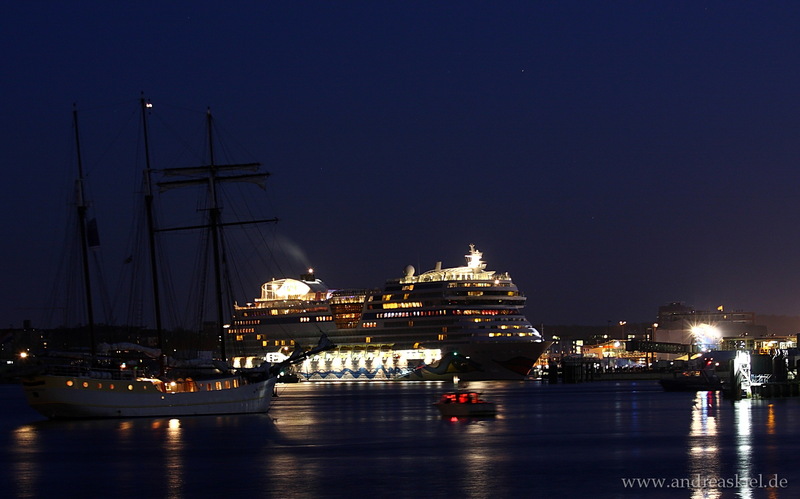 AIDAcara leaving Port of Kiel at 07.04.2012. 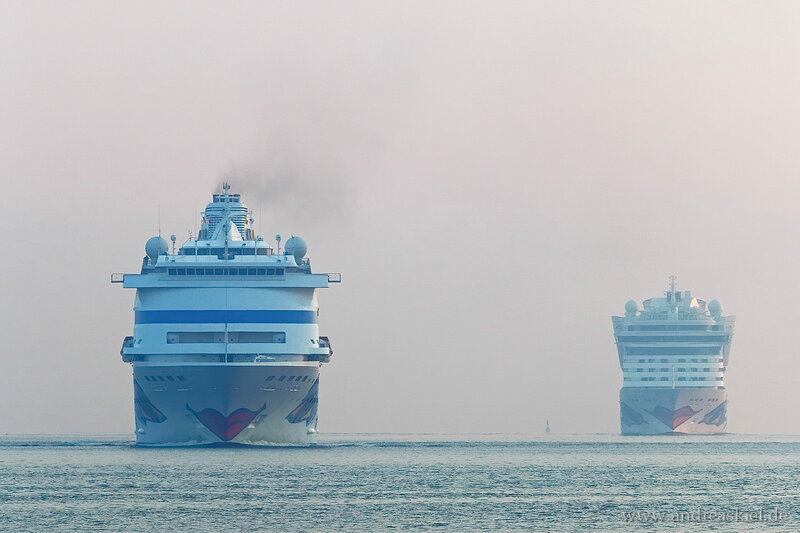 "ex. 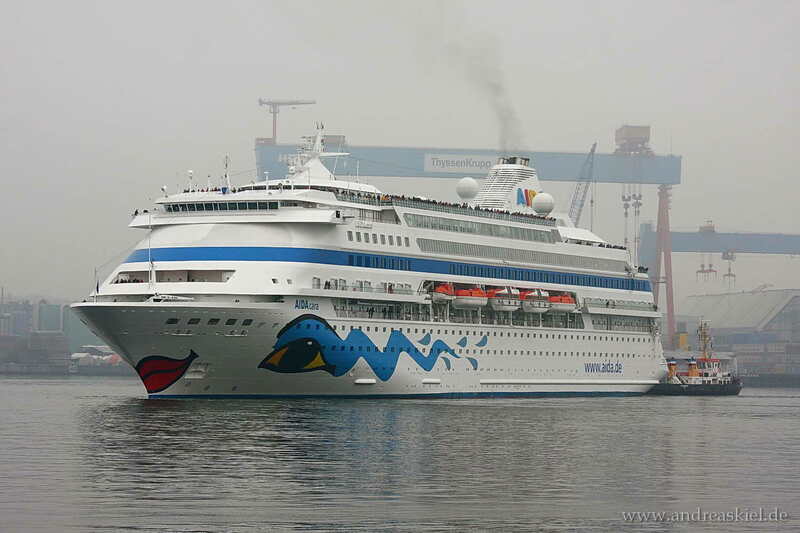 AIDAblu" leaving Port of Kiel at 22.04.2006. 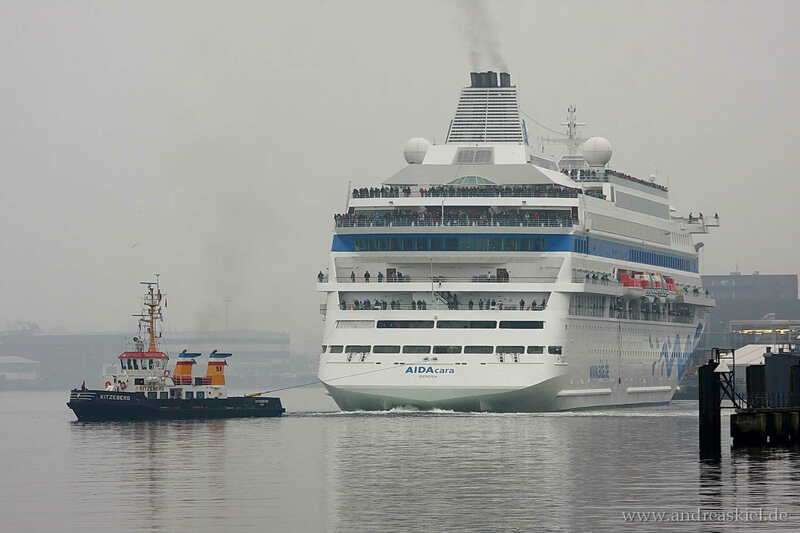 AIDAsol inbound Port of Kie 03.04.2011.